Heavy surf crashes along the shore of Coopers Beach in Southampton, New York. 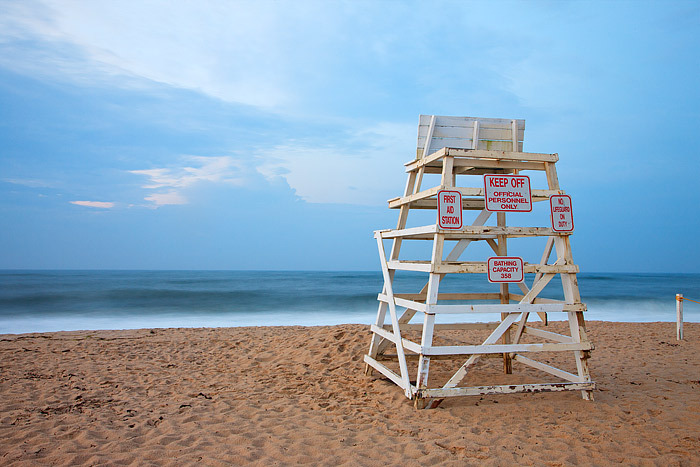 Coopers Beach is one of the Hamptons most popular beaches but it certainly wont be a day at the beach for the lifeguards manning the chair on this day. Heavy storms off the east end of Long Island have created a heavy surf and riptide warning and the flag mast over Coopers Beach is flying red flags. Even if one cant swim at Coopers on a day like this, what better place to spend a day in the sand. Photo © copyright by Thomas Mangan.